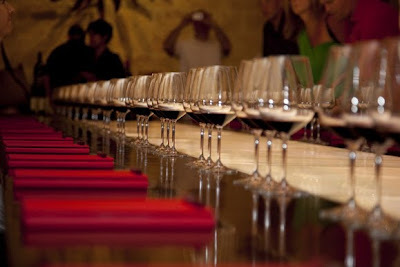 Yeah, I know that there was a race this weekend, but hey, we were in Napa Valley, CA, so you have to have some wine tasting mixed in with the photography! 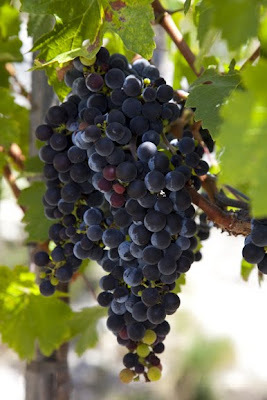 It's Sonoma in August and the grapes were ready for the picking and the wineries were staffing up for the big harvest. We went to an amazing winery called HALL Rutherford and the VIP tasting room was incredible, with the wines as tasty as the surroundings. Oh yeah...back to the Indy race. I was there with the Target Race Team and they really made it a special day. 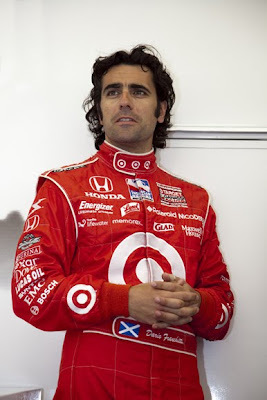 This is the third year that I have had track photo credentials and I decided to key in on Dario Franchitti. Was it because he was in pole position? Was it the fact that he is married to Ashley Judd? Was it those dreamy eyes (according to my wife and every other woman at the race)? Maybe all of the above. All I know is, I wish I had that hair! 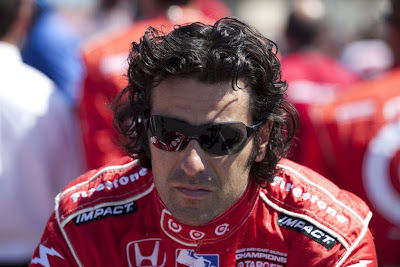 I really like this shot because of the reflection of the race car in his glasses. 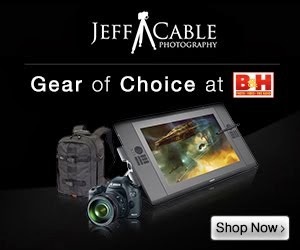 It might be a little hard to see at this size, but trust me, at 21 Megapixels this rocks! I love the intensity of this shot. Dario is getting settled into his car before the race and there I am, standing with a 100-400mm lens, in front of his car waiting for this shot. 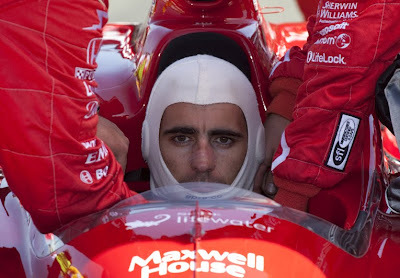 I have shot Danica Patrick and Scott Dixon in the past, so it was time to capture Dario's preparation for the race. 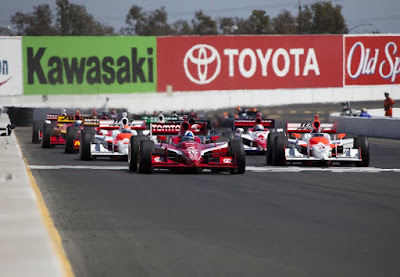 Then at 2:50pm the checkered flag came out and they took off, screaming around the first turn. As it turned out Dario took the lead and never let it go. From start to finish, he led the race. Pretty impressive. Please note that I have shot the Target drivers twice now and both times that I keyed in on them before the race they have taken the checkered flag. Lucky charm? Maybe so! 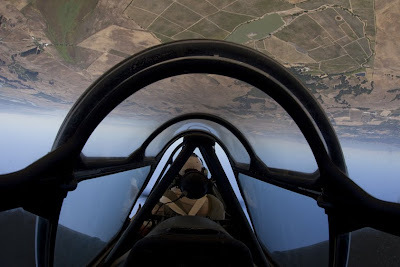 Flying upside down in Sonoma! 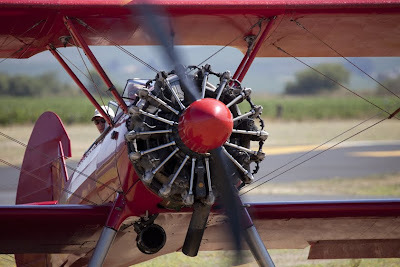 As part of corporate event for Target, I had a chance to photograph some friends (and newly made friends) flying in vintage airplanes in Sonoma, CA yesterday. 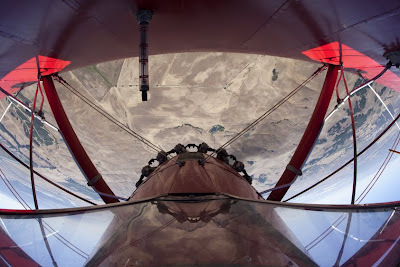 There were two biplanes and one P7 which made for a lot of fun rides. Of course, I can't just shoot pictures from the ground. No way! 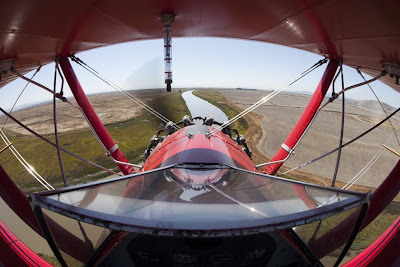 So I made my way up in one of the biplanes, equipped with my Canon 5D Mark II and a Sigma fish eye lens (so that the pictures would include part of the plane). The hard part was raising the camera over the windshield and holding on to the darned thing. With the wind blowing at over a 100mph, this was not easy! 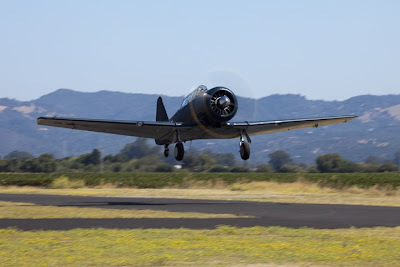 ...and even harder to hold on when we were doing aerobatics. For the last couple of weeks, this was the shot that I envisioned. 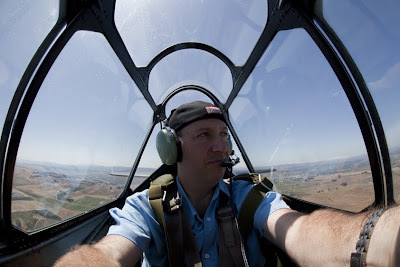 Then it was time to try taking some shots from inside a closed canopy in the P7. I did not have high hopes for this one, but the images actually came out better than I expected. Once again, flying inverted to get my shot. After doing this maneuver 4 or 5 times to get the shot, my stomach was saying "You got the shot! Really, you got the shot! Enough!" Albino alligator poses for me - Thanks! I took this yesterday in San Francisco at the Academy of Sciences. 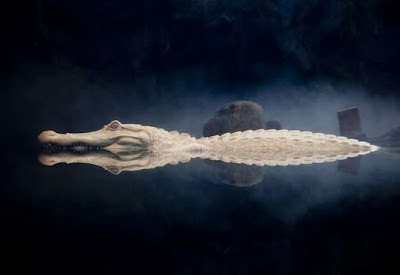 This is a shot of their special albino alligator. After shooting some of the standard shots from up above the water, I decided to head downstairs where you can see under or above the water line. I got lucky! The alligator was perfectly positioned for me to capture him just above water with his reflection right at the tooth line. The lighting was pretty good too. I darkened the background by adding black to the image but that was about it for the editing. I did a Google search to see if others had captured any images like this (since thousands of people photograph this guy every week), but I couldn't find any view like this one. The photo doesn't really look real, but trust me, it is. A money shot in my book! 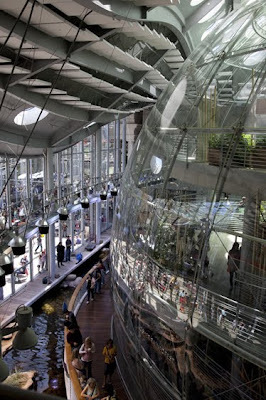 Here is a shot of the inside of the Academy of Sciences (showing the new architecture). They have done a great job with this space. My daughter, Ali, found this cool shot. The walls of the aquarium were lit really well, with blue lights projected onto the contoured walls. Again, no editing, this was straight out of the camera. Good find Ali! 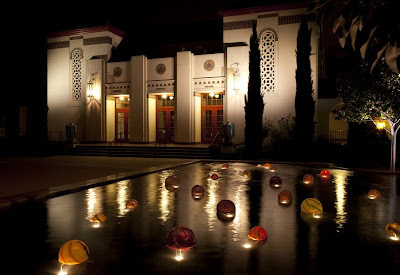 For the last couple of years I have driven past the community center in Campbell, CA and thought that the fountain out front (with glass balls) would be a cool place to shoot at night. So...last night I made the short trip over there and shot with my good friend, Glenn. It was a little trickier than I thought, but fun nonetheless. We shot pictures until the sunset and then went over for a bite to eat. But, like any good photo buffs, we ate our food quickly and returned for more shots under the late dark blue skies. 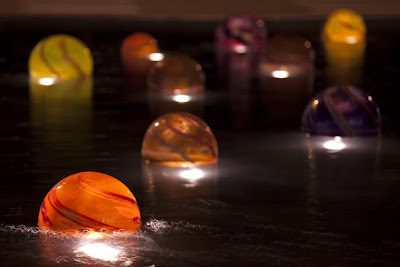 With so many balls in the water (no jokes here please! 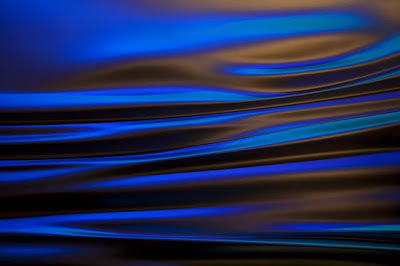 ), it was a challenge to find angles and apertures that worked well. 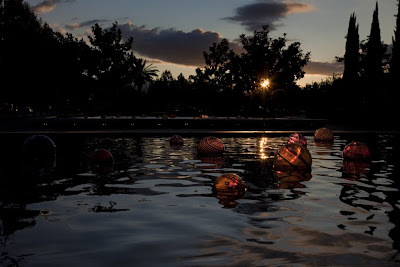 If you look closely at this shot, you will notice that the light in the ripples was dancing around the front ball creating some interesting white lines. Having fun with remote flash! Thanks to the awesome lessons of Joe McNally, one of the foremost experts on flash photography, I decided to experiment with a remote flash and some colored gels. I took my MacBook Pro laptop and put some paper on the screen. I then set up a remote 580EX II flash with half covered in red gel and the other half covered with a blue gel. This was pointed straight at the white piece of paper so that it would reflect back at the "viewer". 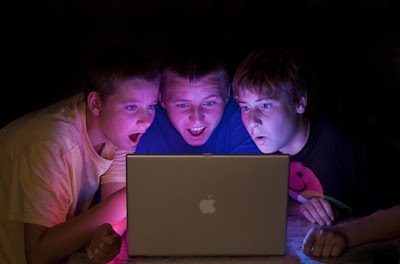 I had Connor and his cousins (who were in town visiting) look into a laptop and give me some looks of amazement. And...after some experimentation with camera settings, pop...we got this shot! I did a little more editing in Adobe Photoshop to darken the background, but the rest was all set up in camera. Too much fun!! !